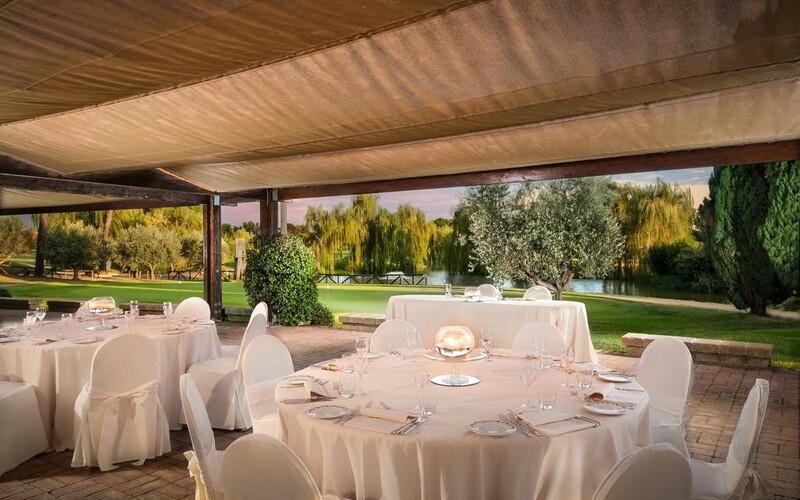 Escape the city life and gather at theeco friendly Sheraton Parco de’ Medici Rome Hotel. 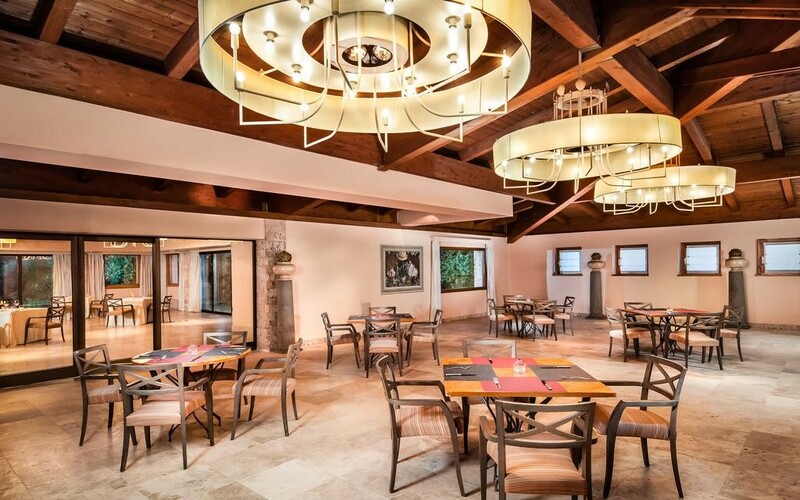 The place to meet with50 meeting spaces and over 800 rooms, located in an oasis of green in Romes EUR district between Fiumicino and Ciampino airports. 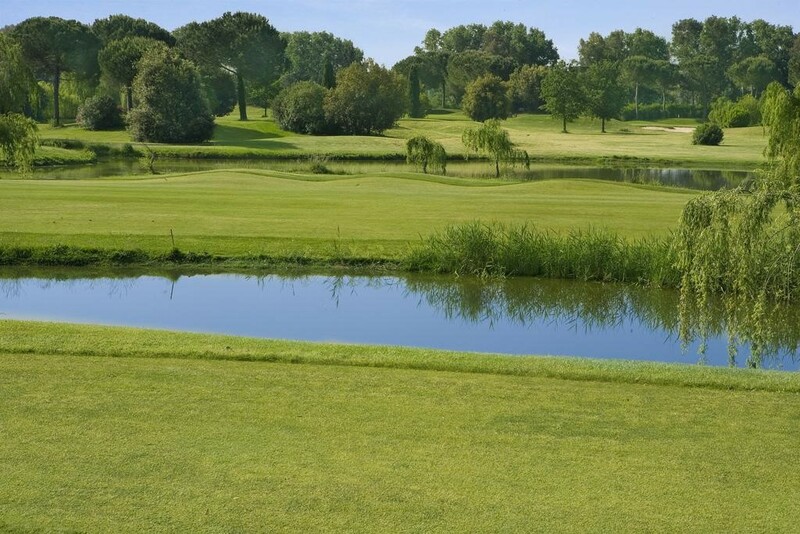 Connect to the green surroundings, amidst the 80 hectares of parkland, by one of the three outdoor pools or on the 27 hole Golf Club Parco de' Medici. Stay active in the 24/7 Sheraton Fitness Centre. 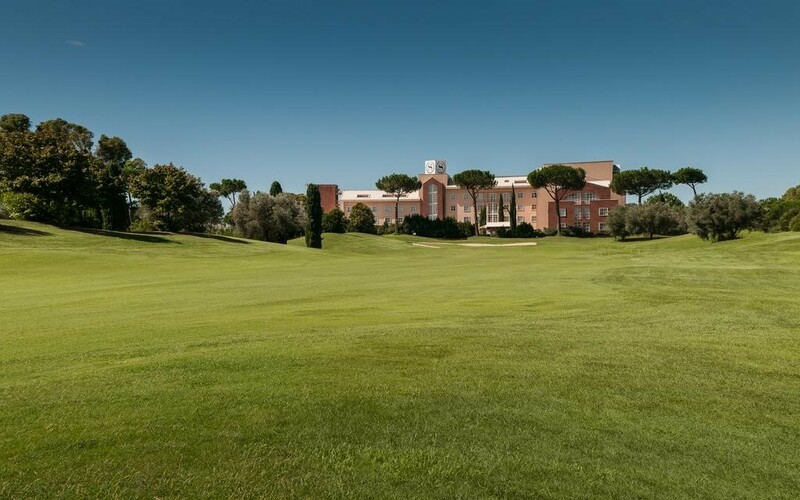 Surrounded by landscaped gardens, Sheraton Parco De' Medici Rome Hotel features a 27-hole golf course and an outdoor pool. 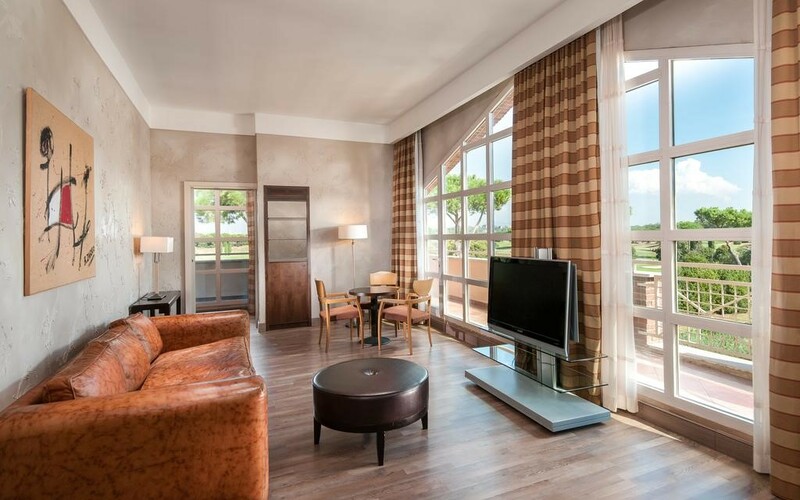 It is 6.2 miles from Fiumicino Airport and 5 minutes' drive from Rome's A90 ring road. 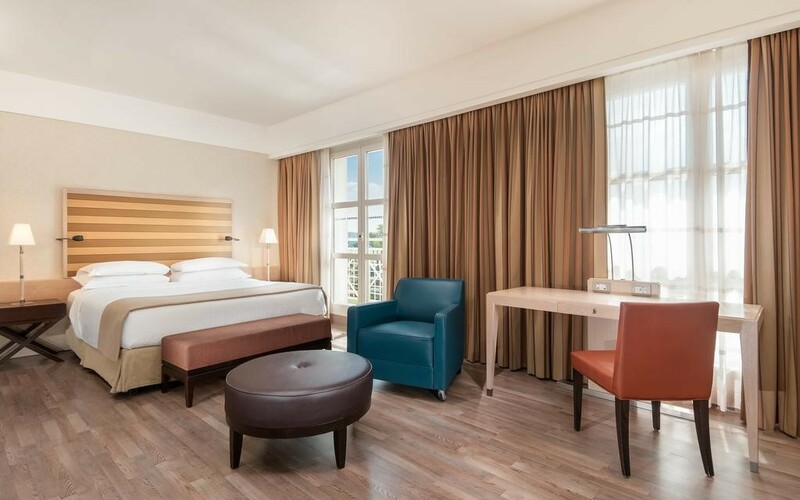 Rooms come with modern or classic furnishings, some of them handcrafted. All air conditioned, they offer satellite TV and views of the gardens, the pool or the golf course. 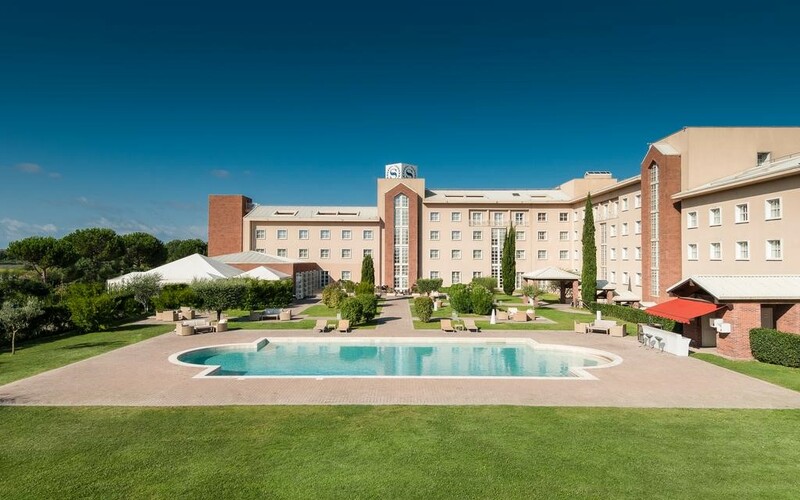 Sheraton Parco De' Medici Rome Hotel consists of a number of buildings across the green grounds. There are 8 individually decorated restaurants and bars serving international cuisine and cocktails. Wi-Fi is free in the lobby and public areas. 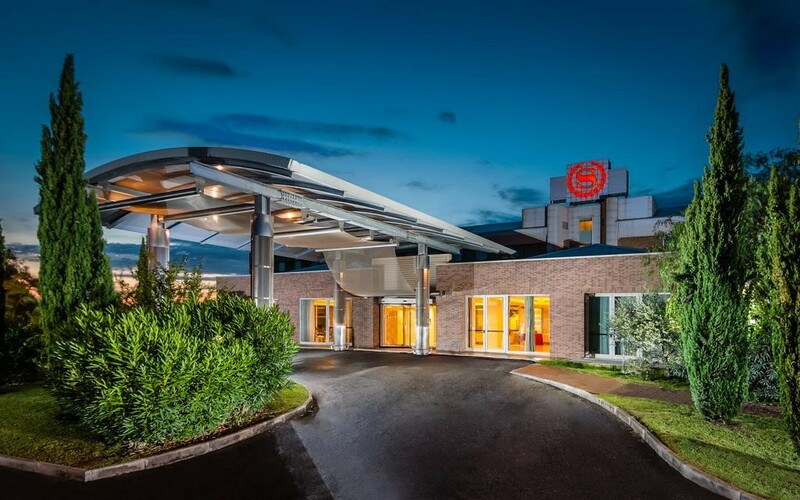 The hotel is located just outside Rome’s E.U.R. district, 8.1 miles from the historic centre. Friendly staff at the 24-hour reception can provide tourist information, and organise shuttle services to the airport and the city centre. 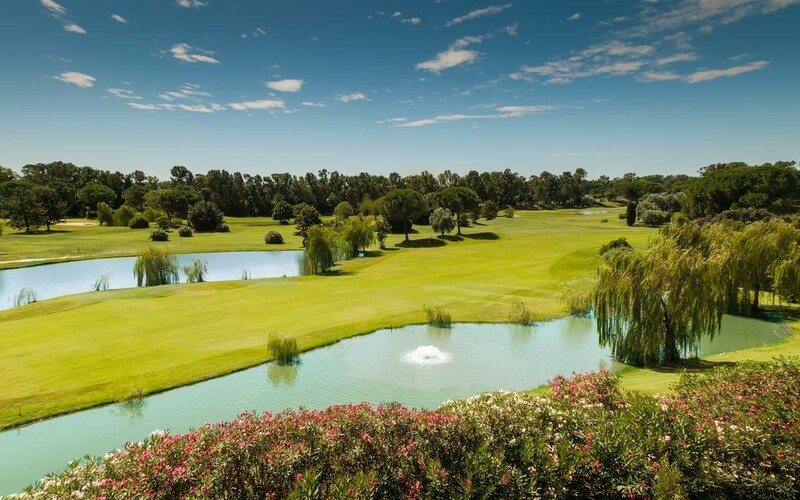 Explore the magic atmosphere of Parco de' Medici Golf Club with a 27-hole Championship Golf Course, more than 80 hectares of greenery and a beautiful view of the greens and lakes; just a few steps from the city center.